Que pensent les Congolais de la Monusco? SOCCER: Sports broadcasting company modern day thuggery!! 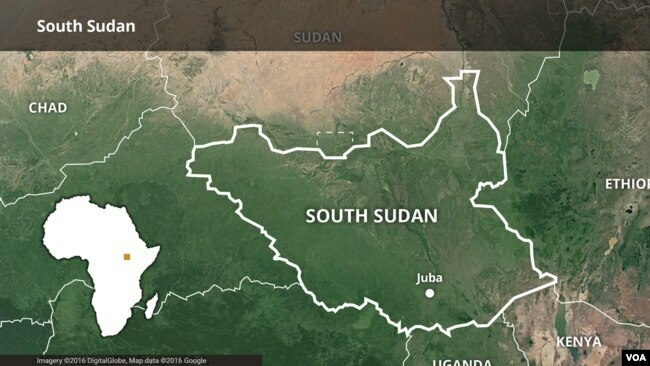 VOA – A U.N. official has intensified the call for an end to violence in South Sudan, following sustained diplomatic pressure from the African Union on South Sudanese leaders. Adama Dieng is the U.N. secretary-general’s special adviser for the prevention of genocide. He told VOA’s South Sudan in Focus program Monday that Uganda and Kenya are contributing to the conflict. “Although the responsibility is to protect the population in South Sudan, the timely responsibility lies with the South Sudan government; the responsibility to prevent atrocities is regional and international,” Dieng said. He said large quantities of weapons and ammunition are flowing into South Sudan through Kenya and Uganda. Representatives of the Kenyan and Ugandan embassies in Washington were not available for comment. African Union, or AU, chairperson Moussa Faki Mahamat said Sunday that “the time has come” to impose sanctions on individuals blocking peace in South Sudan. A high-level revitalization forum led by the Intergovernmental Authority on Development, or IGAD, is scheduled to meet Feb. 5-16 in Addis Ababa to discuss security and governance structures in South Sudan. Dieng visited South Sudan’s state of Yei River last year and was told about an 84-year-old woman who was raped by men suspected to be government soldiers. South Sudan’s civil war has displaced some 4 million people and created a humanitarian crisis in the world’s youngest country. U.N. Secretary-General Antonio Guterres warned countries of the IGAD regional bloc against taking sides in South Sudan’s internal affairs. “Those who are in the leadership positions in South Sudan, be [it] within the government or in the opposition, they will have to understand that this time on Earth on this year 2018, they will have to stop this fighting, otherwise they [the leaders] will have to pay for it,” Dieng said.